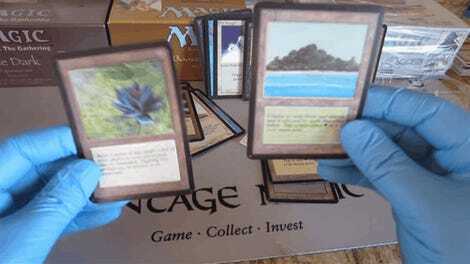 A Black Lotus from the original release of Magic: The Gathering sold this week on online auction site eBay for $87,672. 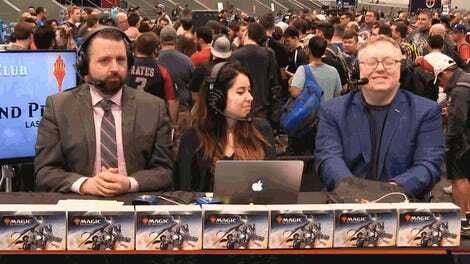 That’s a lot of money for a little bit of cardboard. There are three official printings of Black Lotus in Magic: Alpha, Beta, and Unlimited. Alpha was comprised of 295 Magic cards printed with black borders, Beta added seven cards and fixed some errors in the Alpha set, and Unlimited was a massive reprint of the Beta but with white borders in a bid to keep up with demand for the game. Each of these was printed in 1993, and Black Lotus was included in each. 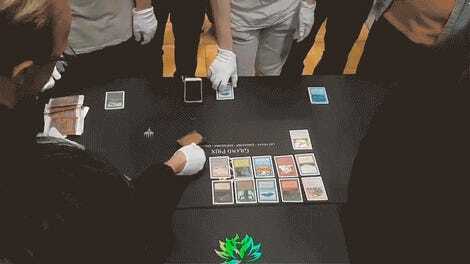 So what makes the Black Lotus opened last weekend at Grand Prix Chiba different from this $87,000 card? The card opened last week was from Unlimited, the reprint set, and quite a few Black Lotuses from that set exist. You can buy one right now for less than $8,000. In contrast, there were exactly 1,100 copies printed of every “rare” card in the Alpha set. That means that we know how many Alpha Black Lotus cards ever existed, and that also means that ones that are available on the open market are fairly uncommon even today. Another critical difference is that this Black Lotus is graded as 9.5 by the collectible grading service Beckett. Taking the scarcity of the card into account and the near-pristine quality of the card, it’s certainly one of the best preserved copies in the world. 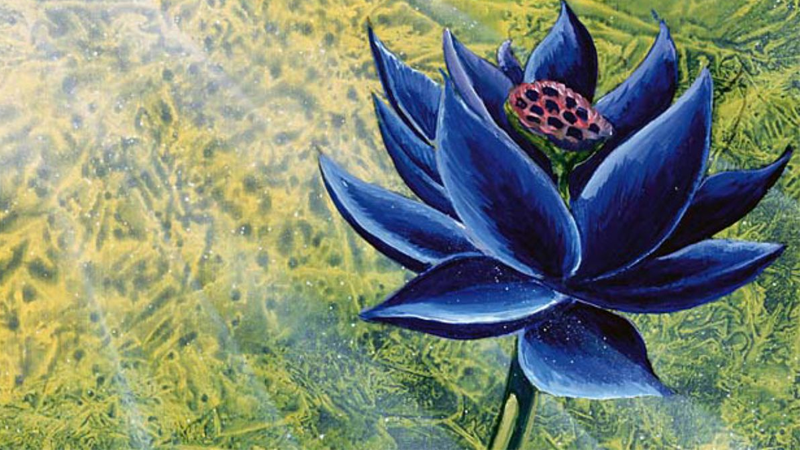 Chris Rahn’s take on Black Lotus from the Magic Online cube. Beyond the rarity, why do people care about the card? It was clear early on in Magic’s history that Black Lotus was powerful. The design of the game is based on mana, a resource produced that is produced by land cards. Every turn, you get to “untap” your lands, allowing them to produce mana again. The game rules state that you can only play one land per turn, meaning that each player slowly increases their power as the game goes on. It’s a beautiful way of throttling power level and keeping players equal to one another. Black Lotus is a card that can be played without expending mana and which adds three mana. It means that a player can have four mana (their land + three mana from Black Lotus) on the first turn of the game. Obviously, they should not have access to that level of resource until turn four. You can see how Black Lotus immediately messes with the math of Magic, and Black Lotus was quickly sought out as a powerful card as soon as it was printed (alongside some other ridiculously powerful cards). Black Lotus’s ability to destabilize the game meant that it wasn’t ever printed again, and the allure and infamy of the card has followed it down through the years. Despite only being played in a single format of Magic, and being restricted to a single copy of the card in any given deck in that format, the card’s reputation has made it an important collectible for gaming in general. Should rarity and cultural prestige account for an $87,000 price tag? That’s maybe a little bit high for me, but if you’re feeling itchy to drop some dollars, there’s another one available for a cool $100,000.